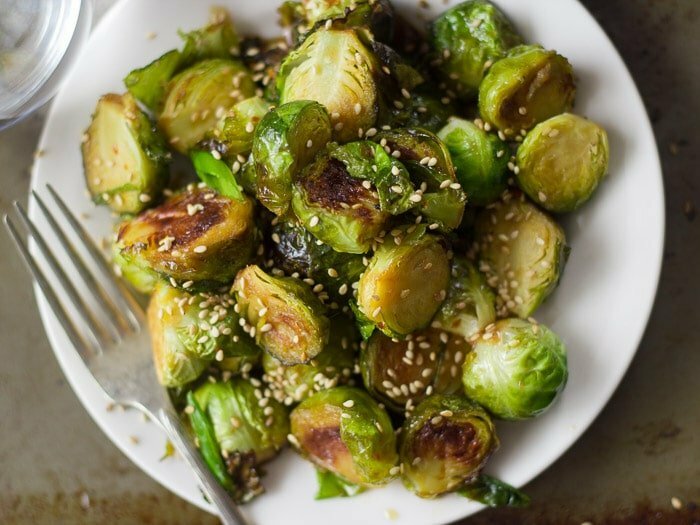 Brussels sprouts are roasted until crisp and drenched in zippy sweet and sour sauce to make this flavor-packed Asian-inspired side dish. Guys, it’s been quite a week! I turned thirty-seven years old. I guess I’m okay with that. Also, we added a surprise new member to our household. No, it’s not a baby, unless you count a 1 1/2 year old cat as a baby, which I kind of do. I’ll try to post some pictures in the coming weeks. Right now she’s getting acquainted with her new surroundings, so I’m not ready to bug her with the camera just yet. For now, let’s stick to food. So, Brussels sprouts! I happen to love them in any form, but I know we’ve got a lot of Brussels sprout haters out there, including my own mom. Maybe I should be thanking her? For all I know I would have hated Brussels sprouts as a kid and can only attribute my love for them as an adult to the fact mom never tormented me with them before I was ready? In any event, these are the sprouts for my non-Brussels sprout fans. I figured it’d be hard to go wrong with gingery maple sweet and sour sauce, and as expected, I could’t keep my hands off these suckers. My husband and I ate what was left of these (after I attacked the skillet) as a side dish, but I’d have no problem serving them as a main dish over some rice. 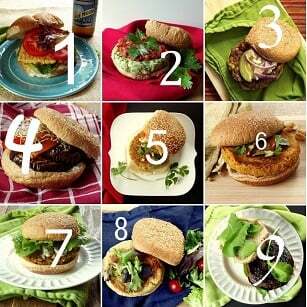 Either way you serve them, deliciousness will ensue. Mom, I hope you give them a try! Preheat oven to 400°. 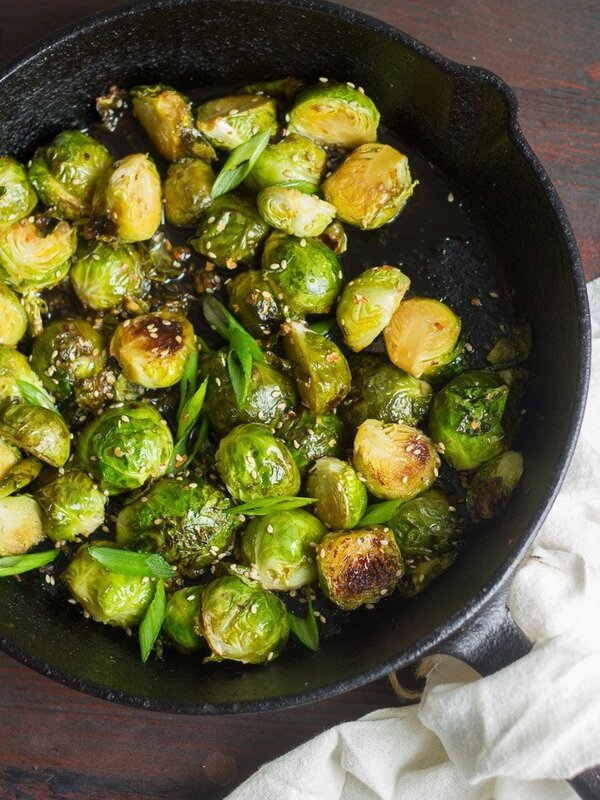 Place the Brussels sprouts into a roasting pan or oven-safe skillet. Add the oil and toss to coat. Place into the oven and bake until the Brussels sprouts are browned and tender, 20 to 25 minutes. 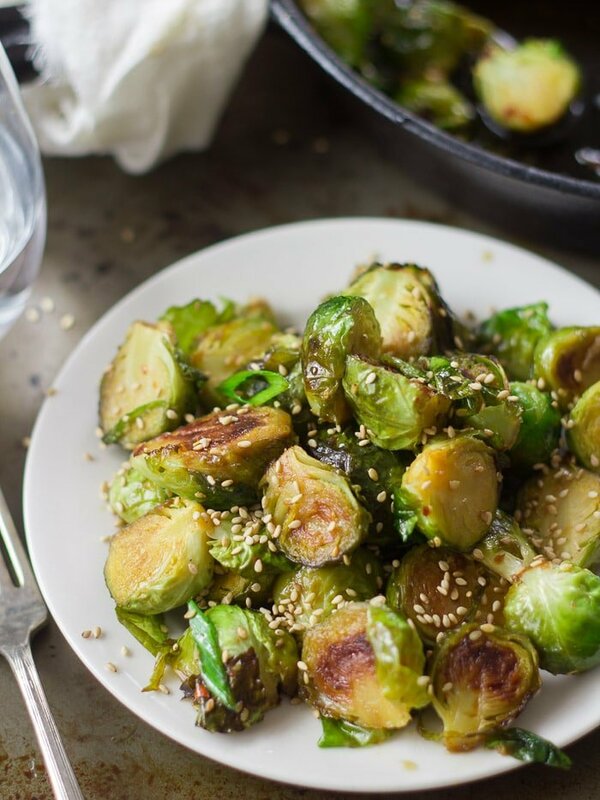 While the Brussels sprouts bake, place maple syrup, rice vinegar, soy sauce, garlic, ginger, and red pepper flakes into a small saucepan and stir to combine. Place over medium heat and bring to a simmer. Lower heat and allow to simmer for 10 minutes, stirring occasionally. Once the Brussels sprouts come out of the oven, pour the sauce over them and toss to coat. Sprinkle with sesame seeds and scallions. Serve. My husband and I both loved the Sweet and Sour Brussels Sprouts! 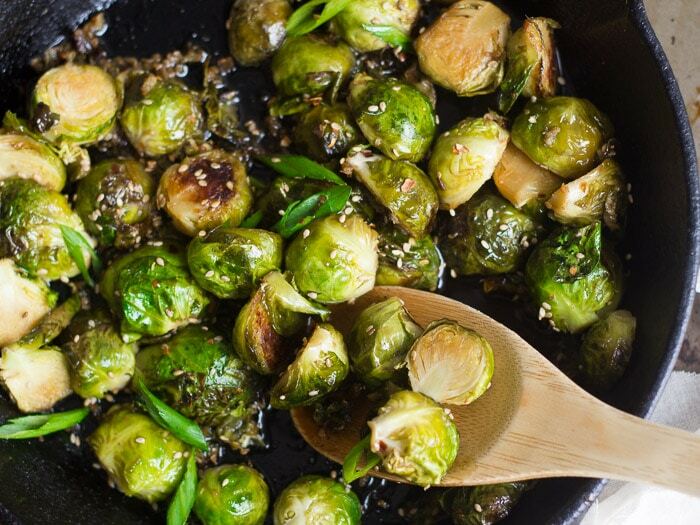 We like Brussels Sprouts, but it’s nice to have a new way to prepare them. I made a half recipe, and did it all on the stove top. I’m sure it’s prettier and more crisp if done on the oven, but stove top worked and it was pretty quick. I followed the recipe with only one other exception. I used balsamic vinegar in place of rice, since I’m temporarily out of rice vinegar. The balsamic added a little color, but I thought that was fine. Thanks for a great recipe. I’m glad you both enjoyed these! I’ll have to give this a try with balsamic – I’ll bet that’s delicious!